Why use Hemp Products for Pets? If you have a pet with any type of medical condition, it’s likely you’ve heard about hemp products for pets. 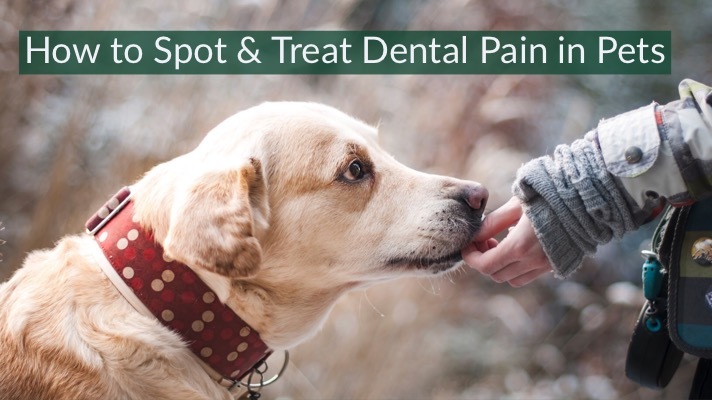 While hemp products are most well-known for pain management and controlling and/or limiting seizures, hemp can also help your pet with a myriad of other ailments… many of which are every day issues such as anxiety and inflammation. 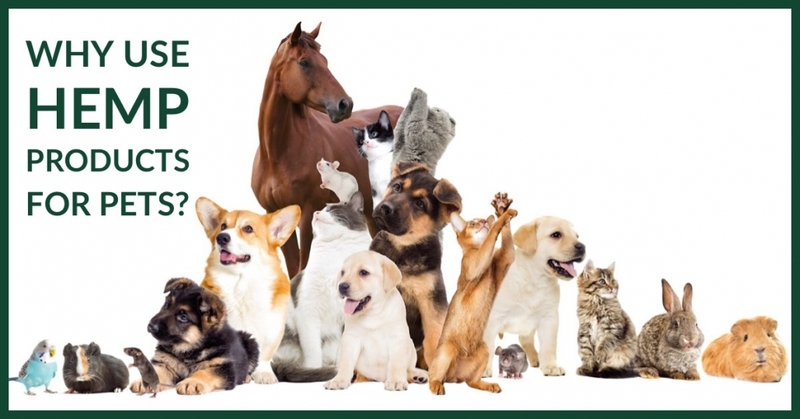 PCR hemp oil, which is what we use in our hemp products for pets, is non-psychoactive. Simply put, this means you can safely give your pets hemp without worrying about getting them high. It’s a safe and legal way to treat your pet more holistically than using harsh pharmaceutics. Some of the most commonly known uses for hemp products are listed below, though we’ve heard from pet owners who use our pet hemp products for nearly every condition. You can see some of our favorite customer testimonials here. If you’re new to using hemp for your pet, it can be confusing figuring out what type of hemp product to start with. There are just so many on the market to choose from! This is why we created the CannaKit, which is a starter kit that contains some of our most loved products: CannaNatural, CannaDrops, and CannaBalm. This gives pet owners the opportunity to try biscuits, balm and oil to see which type works best for your pet. You can save 20% on our CannaKit this month when ordered from our website. Order Healthy Hemp Pet Company’s CannaKit here and use coupon code: TryCannaKit. /wp-content/uploads/2016/07/healthy-hemp-page-logo.png 0 0 Healthy Hemp Pet Company /wp-content/uploads/2016/07/healthy-hemp-page-logo.png Healthy Hemp Pet Company2019-02-11 09:00:542019-02-11 09:26:28Why use Hemp Products for Pets? Medicinal mushrooms certainly aren’t new to holistic health, but they seem to have taken the health and wellness industry by storm. Mushrooms have been used for their medicinal properties for centuries… but are just starting to gain attention in westernized medicine. While there is an abundance of mushrooms with many different medicinal properties, one of the more well-known mushrooms is Trametes versicolor, also referred to as Coriolus versicolor. This particular mushroom is most commonly called turkey tail due to its shape and colors. Turkey tail mushrooms have been used for centuries around the world to treat a variety of health conditions, such as the ability to enhance the immune system. Impressive right? We think so! 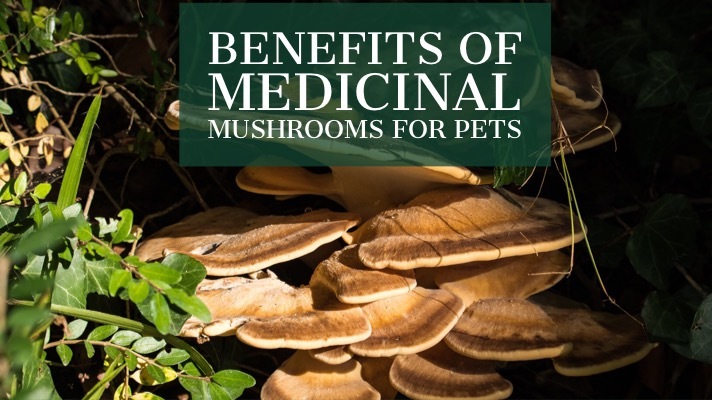 Especially when you think about the health benefits of medicinal mushroom for your beloved pets. Turkey tail mushrooms contain a variety of antioxidants (phenol and flavonoid) which promote immunity by reducing inflammation and stimulating the release of protective compounds. Turkey tail mushrooms contain powerful immune-supporting polysaccharopeptides PSK and PSP, which may strengthen the health in the immune system. Turkey tail mushrooms contain PSK (a polysaccharopeptides) and CVG (a polysaccaride), both components that may suppress the growth of certain types of cancer. Turkey tail mushrooms may bacterial balance in the gut by enhancing growth of beneficial bacteria while suppressing harmful species. We make two products that contain turkey tail mushroom: CannaCrush Immune Supporter and CannaDrops Immune Supporter, both can be purchased online or from select pet retailers. For more in-depth information, please read this research paper on improving survival in naturally occurring Hemangiosarcoma, as well as the University of Pennsylvania School of Veterinary Medicine study. For additional and non-pet turkey tail mushroom research studies we have kept a close eye on Bastyr University research. Celebrations aren’t fun for everyone, especially pets! We’ve compiled five tips for pet anxiety on New Year’s Eve. These simple steps will help keep your pet feeling safe and calm. Keep Pets Indoors – Do your best to keep pets indoors in a safe and calming environment with a collar and tags in case they manage to escape. Exercise Pets in Advance – A tired pet is better than an anxious pet. Take them for a long walk ahead of time. Make Pets Feel Safe – Comfort your pets with pets, hugs, and talk to them in a soothing tone. Make sure they can access their crate or safe place easily. 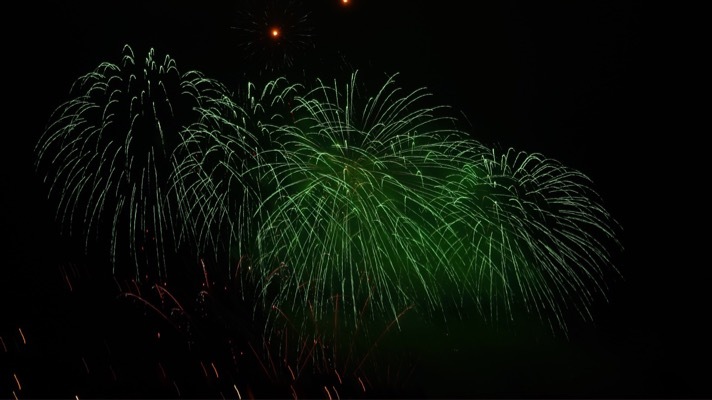 Avoid Noise –Try to drown out the fireworks sounds as much as possible by closing windows, turn on the radio or television. Dose Pets with Hemp – Thirty minutes prior to fireworks, dose your pet with our hemp products for pets. Hemp may reduce situational anxiety and keep pets calm. You can order our pet hemp products online or check for a retail store near you that carry our hemp products. The 2018 Farm Bill is Signed! The 2018 Farm Bill is signed and we couldn’t be happier! This is especially exciting for us, as it makes it easier for researchers to conduct studies on the benefits of hemp, which is something we’ve been waiting for. We know the benefits of hemp, you know the benefits, but it will be nice to finally have scientific documentation of hemp benefits. 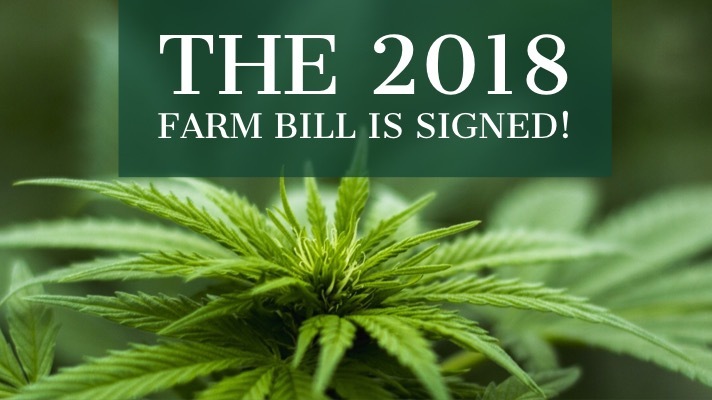 If you’re not up to date on this legislation, the biggest takeaway to be aware of is that hemp is now classified as an agricultural commodity. For more in depth information, check out this article from Forbes about what this means for hemp and CBD companies like us. /wp-content/uploads/2016/07/healthy-hemp-page-logo.png 0 0 Healthy Hemp Pet Company /wp-content/uploads/2016/07/healthy-hemp-page-logo.png Healthy Hemp Pet Company2018-12-22 10:30:392018-12-27 09:42:19The 2018 Farm Bill is Signed! The holidays are a magical time to spend time with friends and family, but they can be an incredibly stressful time for your pets. Pets who suffer from anxiety or reactive pets are more likely to suffer from stress during the holidays. 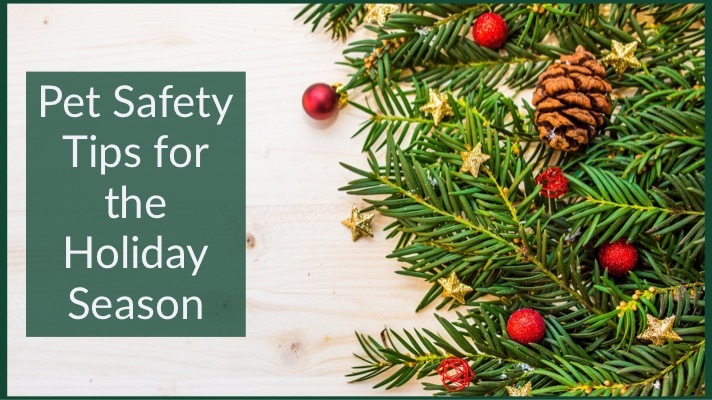 To help keep your pet safe and sound, we’ve compiled pet safety tips for the holiday season for you. If you will have additional people in your home, set up a safe space for your pet to go when they are feeling unsure, anxious, or overwhelmed. Make sure the space is far from guests and has a favorite toy or blanket for comfort. If there are children in the home, keep them away from pets. It can be stressful for pets to have kids around when they are already feeling overwhelmed. Holiday parties and house guests can be especially stressful for pets. Even if your pet doesn’t suffer from anxiety, keep a close eye on them around new people or even known people. The holidays don’t always bring the best behavior out in pets. A house full of people, holiday decor, loud noise, unfamiliar food smells… it all adds up. To combat anxiety consider dosing your pet with hemp ahead of time. If you’ve never used our products, try our new CannaKit™. Otherwise, order our hemp products for pets online or pick up from a local retailer. Keep chocolate, grapes, and raisins far from your pet. A seemingly safe fruitcake can be dangerous for your dog. It’s so tempting to share delicious holiday food with begging pooches, but remember that even the smallest amount of fatty, rich foods can severely harm your pet’s digestive system. If you have holiday guests, remind them not to share food/drink with pets, and to keep all potentially hazardous items tucked away. If you celebrate with a Christmas tree, make sure it is securely anchored to the ground so there are no chances of it falling on your curious pet. Avoid editable ornaments like popcorn garlands, gingerbread ornaments, etc. If you have a real tree, clean up pine needles often and do not allow your pet to drink water from the tree stand. If you celebrate Hanukkah, be sure to keep your menorah out of reach of your pets. It can be so easy to get caught up in the holidays, but don’t forget about your pet’s daily needs. More than ever your pet needs mental stimulation to avoid boredom and stress. Make time for your furry friend. Don’t miss daily walks with your dog. Walking will reduce stress! And lastly, the most important pet safety tips for the holiday season? Love and snuggle your pet! Not only will they feel safe and loved, you will too! Have a wonderful holiday season from the Healthy Hemp Pet team!